This collection of Italian designed and manufactured bathroom vanity units and mirrors is shown in the finish of rosewood with a high gloss chocolate brown coloured integrated glass wash basin top. 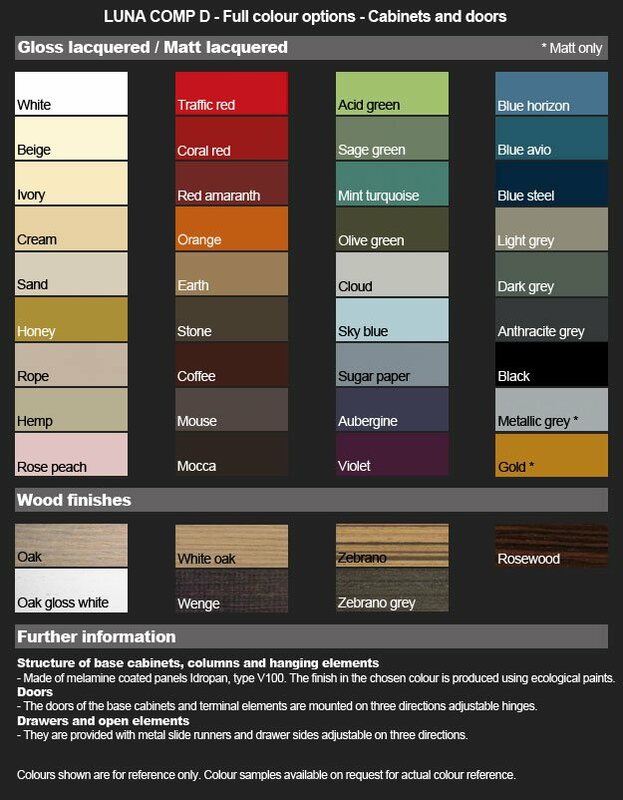 There are 6 further real wood finishes to choose from or 36 hi gloss or matt colour finishes. The beautifully crafted wall hung basin unit is comprised of a 1000mm width cabinet and a 450mm width curved unit including glass shelve for compact storage. 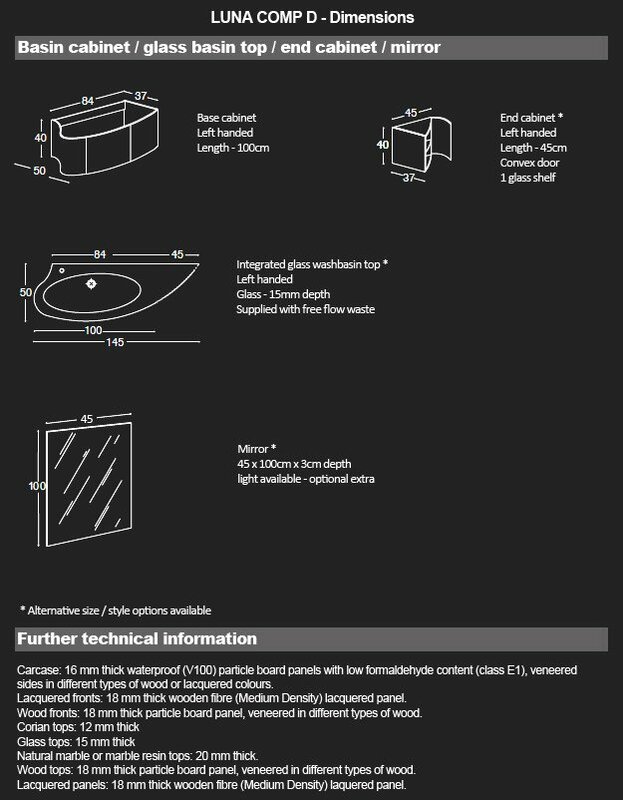 The profile mirror shown has a square edged design and with many lighting designs and options please contact us via the email us link shown below or call us on 01722 415000 to discuss your requirements. 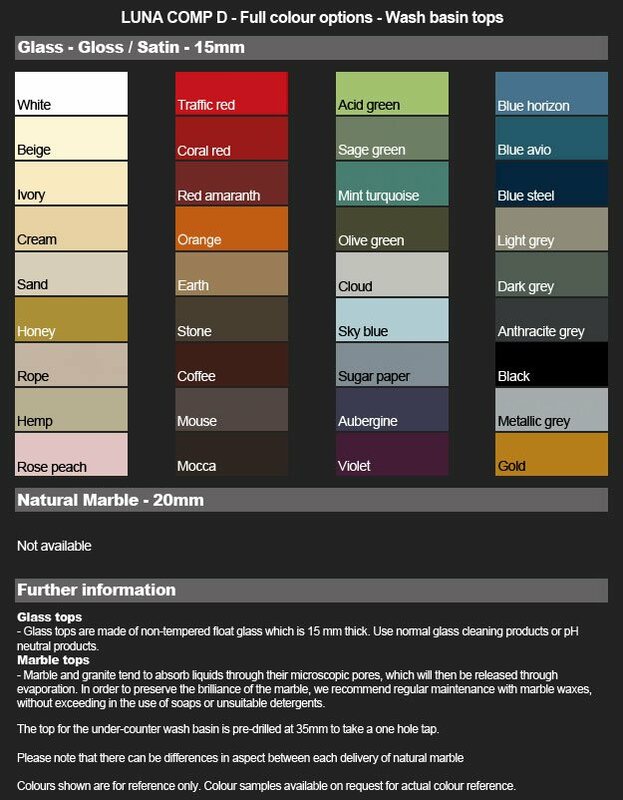 * 36 paint colours in high gloss or matt. * Available in 7 wood finishes. * Glass basin top shown in coffee glass finish. * Basin with 1 tap hole.